This tent is available on Amazon and I have seen it on a few of their global stores, so perhaps you can save on shipping if you order it from your regional Amazon store. So this Journey Trio is a part of the new series by Snugpak, which includes four tents and they are all very different. So the largest Journey Quad is a tunnel tent and the same is with the Journey Solo. However, this Trio tent is a dome-style structure created by two poles, and with a fly that is over the main poles. 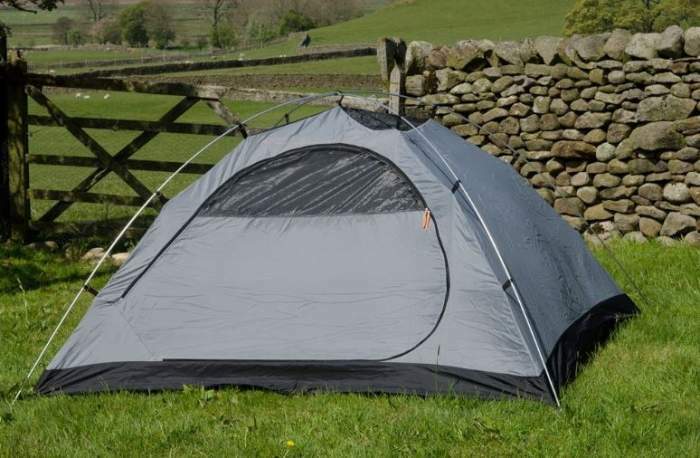 The inner tent is freestanding (see the picture below) but the whole structure is not, and by this I mean that the two vestibules must be staked down to be functional, but you can certainly pitch it without staking the vestibules. This is just to know what you can expect here, but this is similar to many other tents with vestibules. Some describe them as freestanding. This is Journey Trio without the fly. 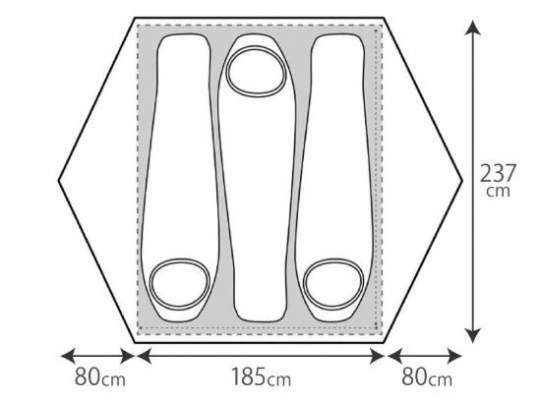 Capacity-wise, this tent is declared as a 3-person tent and it offers enough space for three people, see the floor plan below. The inner area is 40 ft² (3.7 m²) so this does not look too much but there are two vestibules that together give 20 ft² (1.9 m²). So this is a useful space for gear. Weight-wise, with 8.8 lb (4 kg), this is not the best option to carry on a long trail. So it could be used for short hikes if the pieces are shared among the users, but there are much lighter options available on the market. But in view of this, the question is if you would really use it for ordinary camping because it is then too small, you would rather go for a larger 3-person camping tent if you do not carry it on your back. So I miss a bit to understand the clear purpose of this tent; it is too heavy for the trail but too small for camping. However, its packed size is good, the dimensions are (L x D) 22.8 x 7.1 inches (58 x 18 cm), so if you decide to attach it to the pack, you can do this easily. The same holds if you decide to transport it on a bicycle, a motorbike, or in a kayak; so this is probably its best use. Seasons-wise & climate-wise, this tent comes with a huge waterproof rating and with aluminum poles, it is low-profile and aerodynamic, so it will protect you in a 3-season use. There is not much mesh on the inner tent so it is suitable for a cooler climate. But it might not be the best choice for a warm weather camping. There are three aluminum alloy poles, two used for the dome and the third shorter raises up the fly above the doors, see it in the picture below. So this is a hybrid type where the main poles are under the fly but the short cross pole is above the fly. You also have 18 lightweight Y-profile pegs, those are multi-purpose and they work well in most situations. The top sleeve for the short pole. 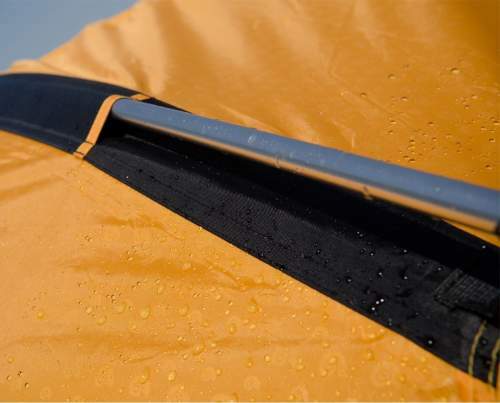 The flysheet is 75D 185t polyester with PU coating and 4000 mm waterproof rating, F/R material. The inner is 190t nylon with polyester, W/R & F/R. Note that you have storage pockets in the corners. The floor is bathtub style, so this is the best design, and this is a 210t polyester with PU coating and 5000 mm rating, F/R as well. 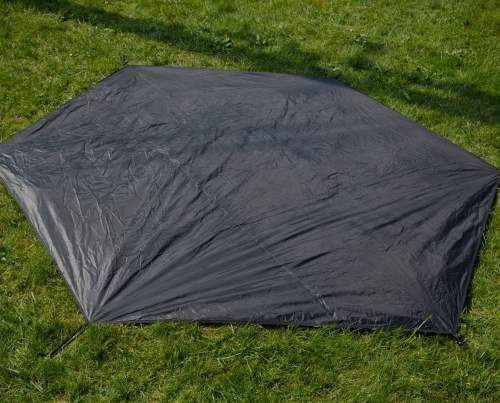 The footprint is included, my understanding is that its waterproof rating is the same as for the tent’s floor (but it is not mentioned by the manufacturer), so the protection from the ground is excellent. One of the two fly vents. 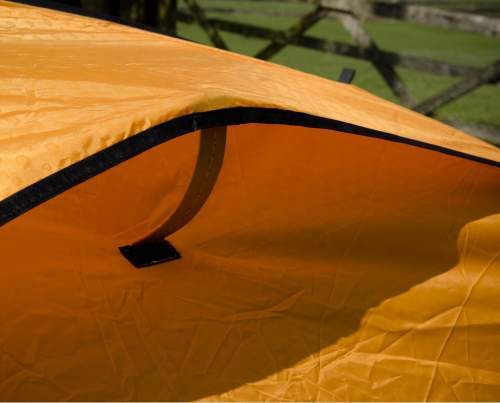 There are two vents on the fly, and they are matched with mesh sections on the ceiling of the inner tent. Note that those mesh areas are not convertible, you can not close them, otherwise this tent would be good enough for winter camping as well. The inner doors are also with mesh sections, so this should be good enough for a reasonable airflow and ventilation. But there are no floor vents here. Weight: 8.8 lb (4 kg). This includes fly, poles, inner tent, stakes, guy ropes, stuff sack. Trail weight: 7.9 lb (3.6 kg). This includes fly, poles, inner tent. Dimensions: 136 x 93 in (345 x 237 cm). Inner dimensions: 85 x 70 in (217 x 170 cm). Inner area: 40 ft² (3.7 m²). Inner area per person: 13.3 ft² (1.2 m²). Vestibules total area: 20 ft² (1.9 m²). Total covered area: 60 ft² (5.6 m²). 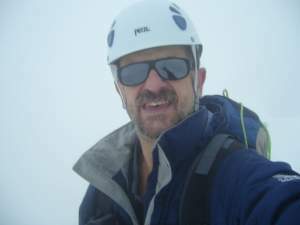 Peak height: 49 in (125 cm). Packed size (L x D): 22.8 x 7.1 in (58 x 18 cm). I thought you might want to see how this tent compares with some other top-brands’ tents, so here it is side by side with two of them. As you realize it is much heavier, but it has a much better waterproof rating. 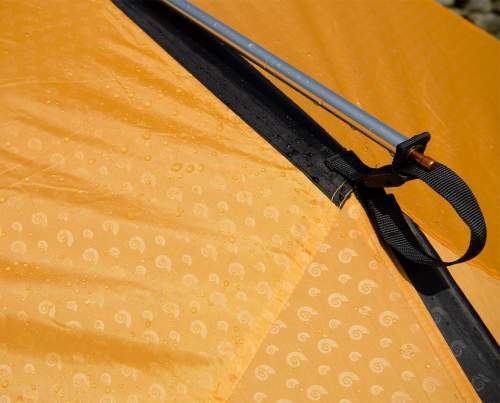 It comes with the footprint, but the same holds for the Mountainsmith Vasquez tent as well. Please follow the links for more details. If you disregard the weight, there is not much you could object to this Snugpak Journey Trio Tent. So if you transport it on a bicycle or motorbike, you will have a very reliable shelter in all weather conditions. Note that I am not related to the manufacturer and this is not a sponsored text. Please use the comment box below in the case of questions or comments. Have a nice day.